Craig took Harvey and I to Far North Queensland for the first time in 2002. 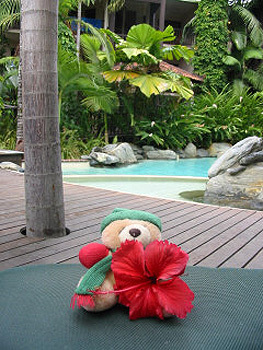 Lazing by the pool in the tropics... But Harvey insists on wearing his gloves, scarf and beanie!